In episode 69 we hear from guest Suprena Hickman, a registered nurse and the founder and CEO of SHE (Suprena Hickman Enterprises) where she serves as a consultant and certified integrative health coach. 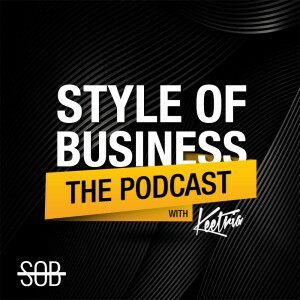 Suprena and Keetria talk about how to get your mindset right, keep your health and spirituality in check, and other tips, tricks, and information she’s gained in the healthcare industry. Suprena’s professional background in the medical industry and elsewhere. She was a traveling nurse, medsurg, heart unit, and psych unit. She worked at the VA for five years and it was a miserable experience – it’s part of what drove her to where she is now. She started to wonder what she could do in the community. She began event planning and it included health screening, speakers, learning, growth, and development. How Suprena merged nursing and event planning and why she became a nurse. When she created her event, she was just looking to solve a problem. Nurses can always find a job, but they’re having trouble finding ways to take care of themselves. The importance of adequate rest. Everyone’s body is different, you have to figure out when your body naturally wants to wake up. If you have a goal or a need you should write it down, pray about it, and execute. About Suprena Hickman Enterprises (SHE). We need to empower girls, let them know they’re loved, and teach them how to love themselves. We attract who or what we are inside. She also has a coaching division of her business as well as workshops and retreats. We can all create from anything, Suprena chooses to bake. Paper clutter causes her stress more than anything else. When you live a minimalist type lifestyle, that’s when the thinking and dreaming comes back. We can start balancing our lives today by removing ourselves from toxic people and toxic situations. Toxic situations and people manifest themselves through our body and cause disease. 1. Nurses can always find a job but have trouble taking time and focusing on themselves. 2. Your mind and your heart have to be right to have better outcomes. 3. We can all create from whatever, we don’t have to choose something destructive as an outlet.